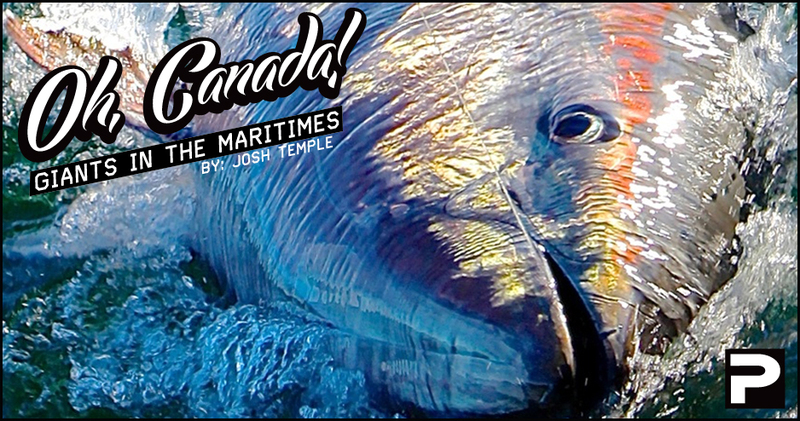 After three consecutive seasons there's little doubt in my mind that Nova Scotia, Canada offers the best big game, heavy tackle fishery in the world. A hefty claim, but one not without merit. 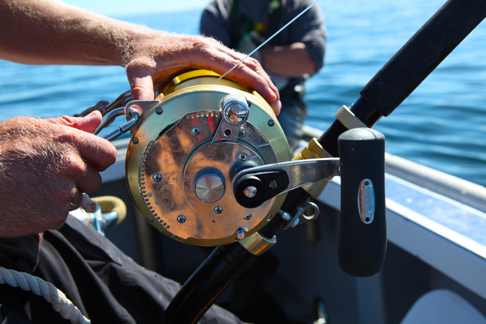 Shallow water, near shore fishing yields fish averaging 800 pounds or more on a daily basis. 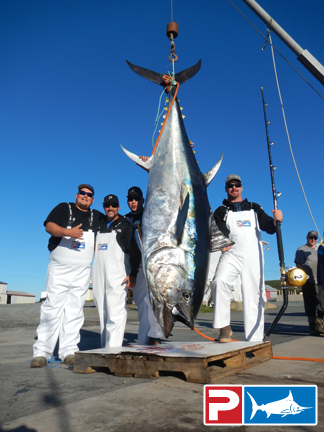 600 pound tuna are considered "small" by local standards. 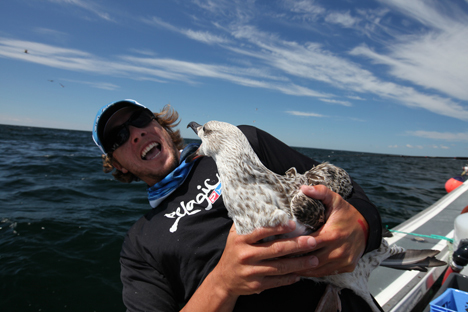 The fish often feed with gluttonous abandon at the side of the boat, where anglers routinely hand-feed giants baits. 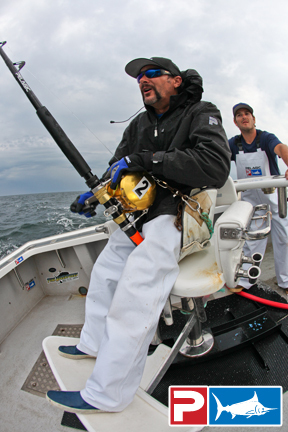 Drag settings of 90 pounds or more push stout 130# chair tackle to it's limits. Numbers of fish reach staggering, historic proportions. 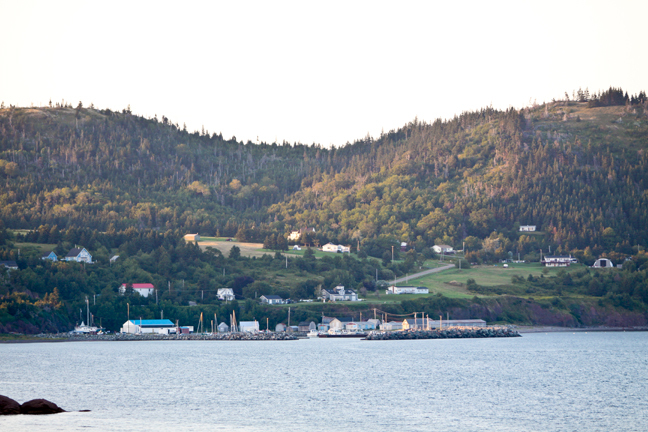 Nova Scotia is quite simply, hands down, the most incredible big game fishing location on the planet. It most definitely does not get any better than this. 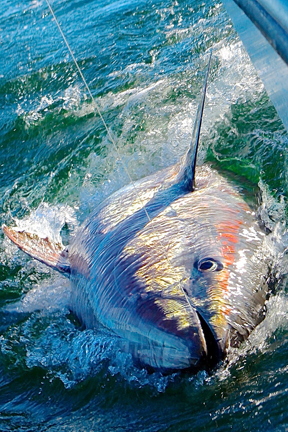 Below: Renowned French angler, Marc Giraud, releases one of many 1,000 pound bluefin he's caught while fishing with Pelagic Pro Team Captain Josh Temple and Boyd's Bluefin Charters over the years // Team Pelagic's Mike Curtius puts the new Tempest Bib to the test as his first bluefin of the 2013 season tears for the horizon off Cape George, NS. I'll be the first to admit that I am stunned by what I continue to witness up here. After six straight weeks of another full-speed diet of strictly gigantic fish I still haven't had enough. More. Moremoremoremoremoremore. 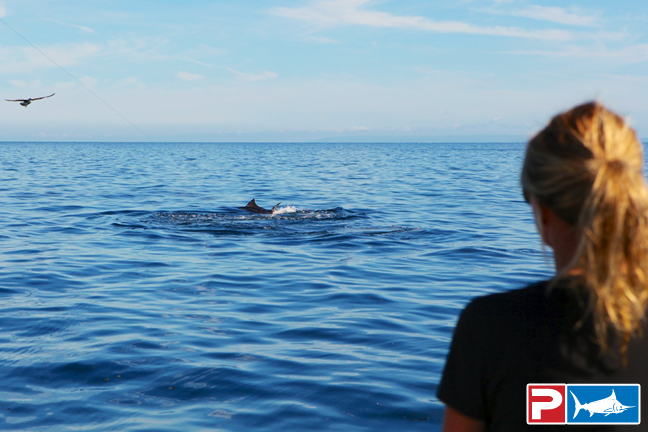 Below: A giant bluefin brought boat-side for release reflects the colors of another Maritime sunrise on the grounds // Prime Time Adventures Mate Andrea McQuade looks on as a giant bluefin porpoises during a flat calm day near Ballantynes Cove. 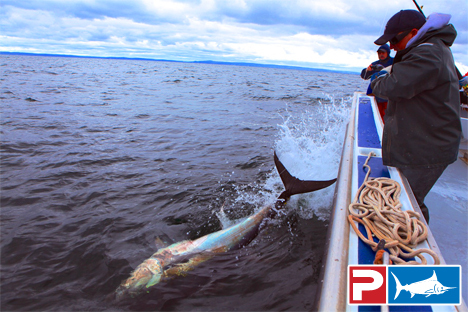 Because of the shallow, nearshore waters of the Northumberland Straight, fish often stay on or near the surface for most of the fight. 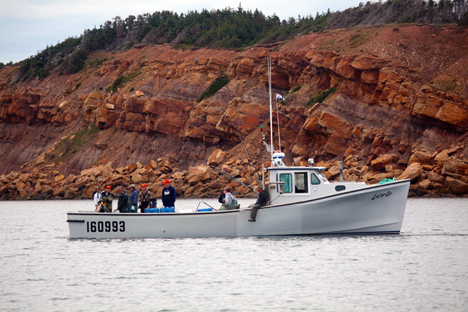 The best part of this season, apart from the fact that the average size of the fish was 800 pounds, was that the entire fleet was often fishing right off the beach. Vast quantities of baitfish held schools of giant bluefin within shore casting distance of the harbor. Day after day after day tourists would take pictures of the sport fishing boats as they chased bluefin through the shallows, massive fish throwing showers of spray as they bolted up and down the coast. How, I continue to ask myself, does it ever get better than this??? Below: Maximum drag setting of 100#'s help reduce fight times and ensure a healthy release. 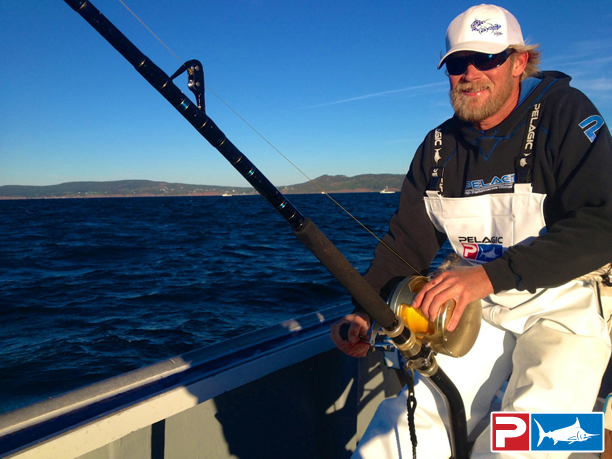 For big game, heavy tackle enthusiasts, fighting grander-sized fish on these drag settings is as good as it gets! 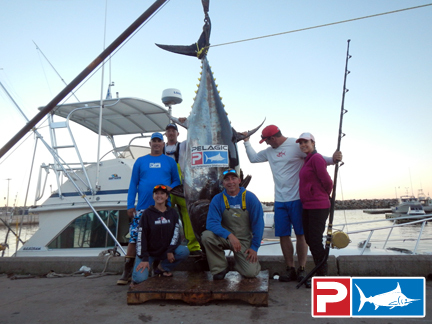 // Pelagic Pro Team Captain John Gavin and the crew of Giant Bluefin Tuna Charters scored BIG with a commercial catch on rod and reel. 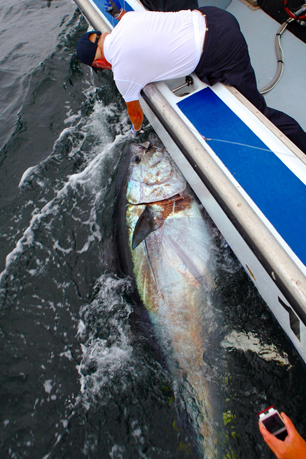 Below: When the crew says they are biting close to shore, they aren't kidding // Mark Boyd of Boyd's Bluefin Charters wires a giant for legendary French angler Michel Delaunay. 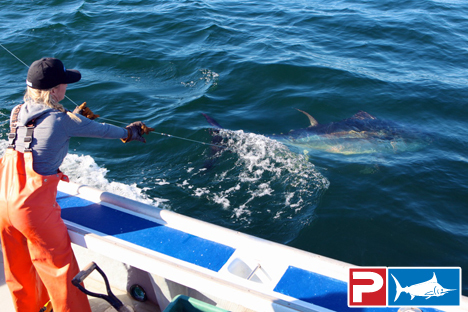 Below: Pelagic Pro Team Captain Woody Woods has an affinity for helping birds - unfortunately, the feeling's not mutual // Mate Andrea McQuade takes the reigns on a Nova Scotia giant bluefin. 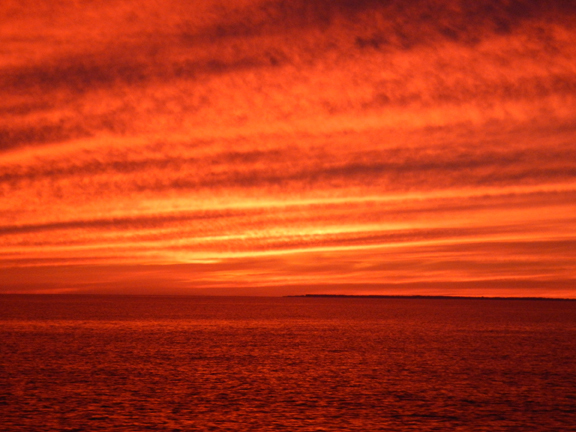 Below: A fiery Canadian sunset sets the skies ablaze in the Maritimes // Pelagic Pro Team Captain AJ Francis of Tuna Adventure Charters with their commercially harvested giant bluefin tuna.